The Ms New Brunswick series continues. Meet Sarah Conley. She is the owner and operator of Ticklebelly Hill, a rustic and charming barn events venue just minutes outside of St Andrews. The barn venue was a dream of Sarah's, and she worked with her husband for two years fixing up her property to make it a reality. If you're in the market for a wedding venue, then you've likely heard of Ticklebelly Hill, as it has been extremely popular since it opened. It was even named one of Weddingbells 'loveliest venues' last year. On the day I called Sarah to interview her for the Ms New Brunswick project, I had only been able to get one of my kids to nap. I gave my oldest the remote to the TV and begged him to watch a movie while I talked on the phone. It was probably the only time in his short life where unlimited screentime was unappealing to him. I apologized at various points during our conversation about the other-worldly amount of noise in the background as I shot daggers at my son. Sarah was completely unfazed, and laughed it off. She has a toddler too, she explained, and she understands how crazy life can be sometimes. I stand in awe of all women who are running businesses and raising families, because I truly know how difficult it is to have small kids. Sarah is no exception, I could tell from our talk that she is a 'doer': someone who sees something that needs to get done, and just does it. If you are planning a big event, don't you want a 'doer' in your corner? I certainly think so. Here is what Sarah had to say about her work when I talked with her. Tell me a little bit about Ticklebelly Hill? Ticklebelly Hill is an event facility in Oak Bay, New Brunswick. 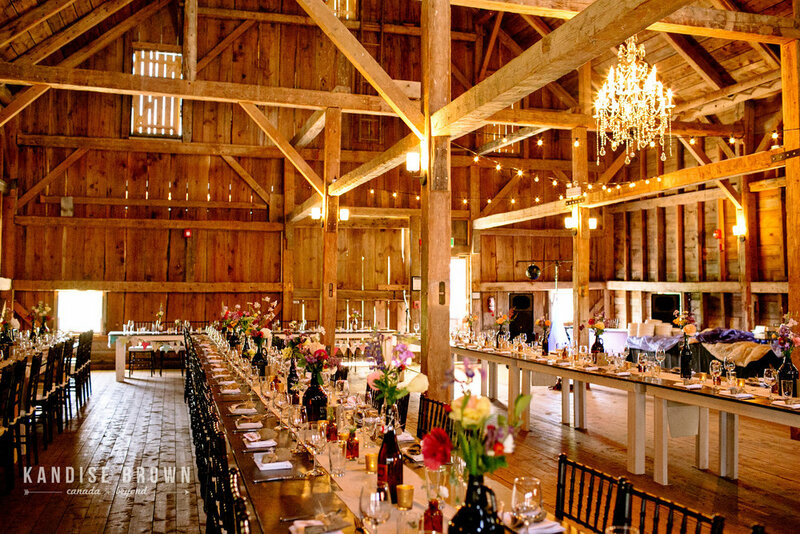 The highlight is our century-and-a-half year old barn with cedar shingles where we host events, mainly weddings. It’s surrounded by grassy fields and a forest and is just minutes from Saint Andrews or St. Stephen. Where does the name Ticklebelly Hill come from? Oh well, we are on the crest of a hill, known locally as a "ticklebelly” hill. It’s meant to describe the feeling you get when you drive over the hill, almost like butterflies in your stomach. I loved the name and felt it was appropriate because of those same fluttery feelings many people feel on their wedding day. I went to school for Museum Studies, I have a post-grad Certificate in Museum Management and worked in museums for seven years in Ontario. I had the opportunity to plan several museum events like fundraisers and exhibit openings while I was doing that. I really enjoyed that aspect of the job and when I was laid off from my last seasonal contract I decided to take the plunge and enrolled in an event planning course. I moved to New Brunswick and I started Celebrations by Sarah, a wedding and event planning service in the St Andrews area. I was doing that successfully for several years but always had in the back of my mind that I wanted to run a venue and be the event host. After a long time, and a lot of work, Ticklebelly Hill became a reality! Is it a lot of work to run a venue? Yes, but I love what I do. I have the advantage of having learned from years of experience of working with couples and running events. With weddings, you have to love what you do because there can be a lot of emotions and stress and you have to be prepared for that. If you can’t handle other peoples’ stress, or their reactions in times of stress, then you’re in the wrong business. To every couple that gets married here, it’s the most important day of their life, and you have to have patience and understanding for them and their families as they experience it. How has it been running this type of business in a rural area? Amazing actually, the St. Stephen Chamber of Commerce and Saint Andrews business community are very active and very supportive. I feel pretty lucky to be here. They are so good about spreading the word, promoting my business and offering help and advice when I need it. Even the other businesses in the area that also act as event venues are willing to support Ticklebelly Hill. We all have good relationships and we all work together to try and promote the area as a great place for weddings and events. The more business we can attract, the better we all do! In fact, working together in a low population area is definitely the way to succeed. What, if any, hurdles have you encountered in running your business? Trying to attract people to the area is the hardest part of my job. I attend wedding shows across the Maritimes trying to sell Oak Bay, New Brunswick as a great spot for a destination wedding. We don’t really get repeat customers, so it’s very important that we are always attracting new people to come to us. We don’t even see repeat business in the same family, because brides try so often to be unique – so if your sister got married here, you’re probably going to want to go somewhere else, even if you loved it. How can the community support you better? The community has supported us amazingly well already, but I would love to see more resources for small businesses at the Provincial level. Even if just in promotion of existing small businesses in our province, or increased resources for people starting out. It would also be great if there were more ways to work with tourism in the Province because our goals are aligned. I really try to keep my work life separate from my home life. When I’m with my daughter, I’m with her 100%. I’m very lucky to have a strong family support system. My husband works in an industry that perfectly compliments my own, and that really helps us manage our home life. Both sets of grandparents are really involved as well, but really trying to balance everything is just something we work at all the time. I am committed to making it work, actually. I have tons of motivation and drive and passion for my work, but I don’t let it come before my family. I just am very good at utilizing “free” time (like naps and bedtime). I guess I am just good at time management. 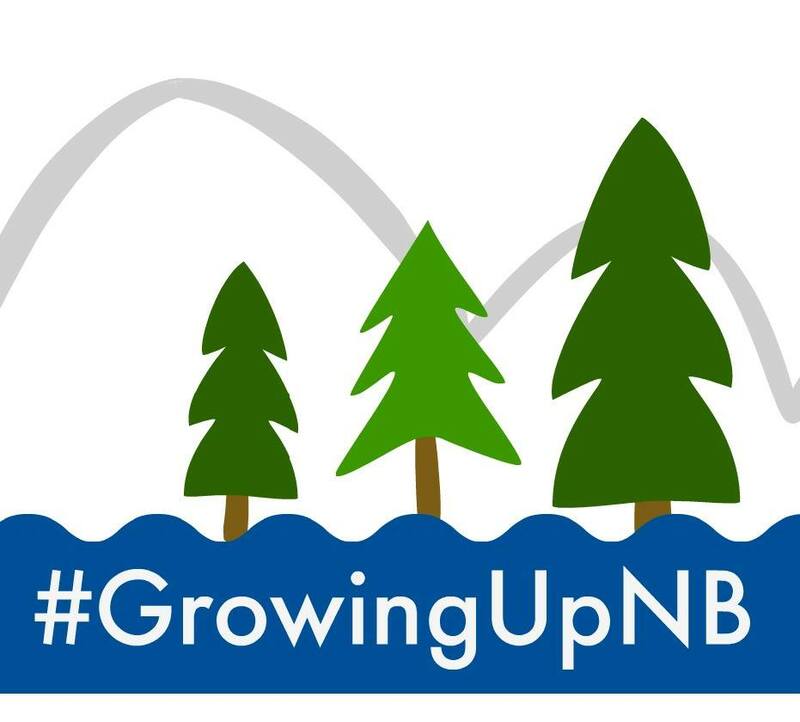 Do you like being in New Brunswick? I absolutely, wholeheartedly LOVE living here. I love the lifestyle. I have travelled many places, and lived in much bigger cities and so feel I can compare and appreciate what is offered elsewhere. I love the classic New Brunswick hospitality, our access to the outdoors and the amount of space here. I love that we can drive 20 minutes to The cottage and feel like we are hours away from home. I am so grateful for the opportunities to be outside and connect with and enjoy nature. I also love that we live in such a family-friendly place, and I am glad that we started our family here. What advice can you give to other women trying to bring their ideas to life? Have confidence and education in what you do. Be certain that you know the business you are in. All you have is you - YOU are the business. What you present, how you carry yourself and what approach you take is all the business. It’s everything. If someone wants to book their wedding at Ticklebelly Hill, how can they get in touch with you? They can send an email to info@ticklebellyhill.com or message me on Facebook.